I have heard a lot lately about bitcoin. It’s in the media, all over the internet, and has even been brought up in a few recent conversations. So, I figured I would need to learn more about this cyber-currency and share with you what I have found out so far. Bitcoin is a type of cryptocurrency that came into existence in 2009. It was proposed in 2008 by Satoshi Nakamoto, a pseudonymous software developer who came up with an electronic payment system that was based on mathematical proof. The main idea behind Bitcoin was to create a means of exchange that could be transferred electronically independent of any central authority. Bitcoin is a secure, verifiable and immutable means of making transactions between users since the payments cannot be traced by the federal government. This guide gives in-depth information about the Bitcoin wallet, Bitcoin exchange, Bitcoin mining pool, and answers to the frequently asked questions about Bitcoin. What Is Bitcoin Wallet And How Does It Work? Before you own any Bitcoin, you need a safe place to store them. This place is usually referred to as the Bitcoin wallet. Instead of holding your Bitcoins, the wallet holds the private key that gives you access to your Bitcoin address (i.e. your public key). Well-designed wallet software gives the impression that your Bitcoins are actually there, making this type of cryptocurrency more convenient and intuitive. Many Bitcoin investors have a number of Bitcoin wallets since a wallet holds several private keys. There are different types of Bitcoin wallets and their safety depends on the format and version chosen as well as how you use them. Wallets can either live on a piece of paper, physical storage gadget, a computer or a mobile device but the paper wallet happens to be one of the safest places to store your private keys. So what is a Bitcoin paper wallet? It is a piece of paper where the public and private keys of a Bitcoin address are printed. It is usually ideal when giving a Bitcoin as a gift or for the long-term storage of Bitcoin. The fact that they are not connected to a network makes them more secure. However, they should be kept way from water or fire. These are small devices that are connected to the web occasionally to enact Bitcoin transactions. Hardware wallets are generally offline which makes them extremely secure as they cannot be hacked. However, they can get lost or stolen with the stored private keys that give access to your Bitcoins. A software wallet is usually installed in a computer and it gives you full control and security over your keys. Most software wallet are free and come with relatively easy configuration. The only problem with this type of wallet is that they require a lot of maintenance through backups. You are more likely to lose your private keys if your computer becomes corrupted, stolen, or if the private keys were not stored elsewhere. Mobile wallets are designed as apps for your smartphone. They offer a convenient way of making transactions especially when you wanted to sell, buy or send money in Bitcoin while on the move. Most of the online wallets meant for desktop also have their mobile versions. The only downside is that you may lose your phone, or your privacy could be compromised by malicious web links and sites. What is a Bitcoin Brain Wallet? A brain wallet is the concept of storing Bitcoins by memorizing a seed phrase in one’s own mind. The private keys of cryptocurrency are usually derived using this mnemonic recovery phrase. Typically, it is quite hard to memorize and remember your private keys because it entails a long string of alphanumeric numbers. In a situation where a user gets into a coma or forgets the mnemonic phrase, then all the associated crypto-coins get lost forever. To explain this concept, a Bitcoin brain wallet generator allows you to key in random words known as a passphrase (4 – 24 words long). It is hashed with the Scrypt or the SHA-256 algorithm to generate a private key and then a public key. It is impossible to reverse the hash of these passphrases. This means that it will be very difficult for a hacker to steal your funds if you chose a passphrase that is hard to guess. Once you have the private and public addresses, you can easily store your Bitcoins without any worry. This is because the keys generated are memorized or stored in your head. The spreads in Foreign exchange are the most essential measures when it comes to transacting in Bitcoin and they are more likely to vary according to the liquidity of the Bitcoin exchange. So what is a Bitcoin Exchange? It is a digital marketplace that allows traders to sell and buy Bitcoins using Altcoins or traditional money. A Bitcoin currency exchange acts as an intermediary between the sellers and buyers of the cryptocurrency in the online platform. Just like a traditional stock exchange you can opt to sell or purchase Bitcoin by putting a limit order or a market order. If you select a market order, you will be authorizing the exchange to trade your coins for the best price available in the online marketplace. When you set a limit order, you will be directing the exchange to trade coins for a price that is above the current bid or below the current ask. All Bitcoin exchanges come with transaction fees that are applied to the completed sell and buy order that is conducted within the exchange. The volume of Bitcoin transactions that is carried out determines the fee rate. In order to transact on the Bitcoin exchange, you will have to register with the exchange before being taken through a series of verification processes to authenticate your identity. A Bitcoin mining pool is a collection of miners who work together to minimize the volatility of their returns. This can be compared to diversification in portfolio management where it is better to hold 10 stocks instead of one. There are many reasons for and against Bitcoin mining pools. Miners opt to join a pool if the distribution of the hash rate across the Bitcoin network is favorable. Going solo might have the benefit of not having to share the reward but it significantly decreases your chances of getting a reward. A pool on the other side might have a larger chance of winning the reward by solving a block but the reward will be split between all the pool members. The most interesting part about joining a pool is that you enjoy a steady stream of income even if the payments are being divided to all the members. A mining pool should not exceed more than 51% of the network’s hashing power or it could wreak havoc to the entire network. If this happens, miners are usually urged to leave the pool one they are about to approach this threshold. 1. What is a Satoshi Bitcoin? Satoshi Bitcoin is the smallest fraction of Bitcoin currency that can be recorded on the block chain. It denominates all amounts in the block chain before they can be converted for display. Satoshi is used by the source code when specifying a certain amount of Bitcoin. Just like other currencies, cryptocurrencies can also be divided into smaller units and the Satoshi is the smallest unit available for Bitcoin. 2. What is a Bitcoin 51? A Bitcoin 51 is the ability to control a larger percentage of the network hash rate to prevent new transactions from confirming and revise a transaction history. It is also referred to as the majority attack or a 51 percent attack. If a single entity controls a majority of miners, then they would have the power to make decisions on which transactions can be approved or not. It leads to a process called double spending where their coins will be spent multiple times as they can prevent confirmation of other transactions. 3. What is a Bitcoin IRA? A Bitcoin Individual Retirement Account (IRA) is a standard that allows using retirement savings to invest in various cryptocurrencies. An individual can choose to engage in the self-directed option for the cryptocurrency investments or maintain other retirement accounts with traditional investments. 4. What is a Bitcoin faucet? Bitcoin faucets are online apps or websites that gives rewards to users who complete tasks set by a particular app or website. Users are usually rewarded with the Satoshi Bitcoin in exchange for completing different tasks on the online platforms. 5. What is a Bitcoin scam? A Bitcoin scam uses the promise of Bitcoin to lure a user into downloading a malware app by clicking through URLs posted on online platforms. They can also be distributed through fake Bitcoin surveys and most of these URLs are not always secured with an HTTPS connection. There are also people who impersonate the Bitcoin brand to gain the credibility and trust of their victims. All these Bitcoins scams act as a trap to distort money and gain access to private information of users with little knowledge about the real Bitcoin. The most important feature about Bitcoin is that it is decentralized and is free from any manipulation or government interference. Making a wise decision on the type of wallet to store your private keys will go a long way to keeping your Bitcoins safe and secure. A Bitcoin mining pool could also be useful for crypto-investors who want to earn a stable stream of income. Although the use of Bitcoin is very beneficial to investors, it also comes with other limitations such as impersonation and fake Bitcoin surveys. It is important to be cautious about the impersonators on the online platforms and the suspicious download links as they could compromise the safety of your Bitcoins. 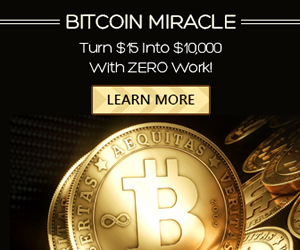 To learn more about bitcoins, click here. Thank you for reading and please leave any questions or comments below. Previous Previous post: What is App Coiner? – An Easy And Fun Way To Make Money? Next Next post: Can I Make $8,000+ Per Day for only $37? Review, Scam or Legit?